We made your Chrysler, Dodge, Jeep, Ram the superior vehicle it is today and we want to ensure it remains that way – whether it’s taken you 10,000 miles or 100,000 miles. That’s why Safford Chrysler Jeep Dodge Ram of Salisbury offers Chrysler, Dodge, Jeep, Ram service and repair, so you have access to the latest specialized technology and precise analysis from Chrysler, Dodge, Jeep, Ram trained technicians who undergo regular, frequent training so they’re always up-to-date on every component of your vehicle. The Safford Chrysler Jeep Dodge Ram of Salisbury finance department is focused on ensuring your experience with our dealership exceeds your highest expectations. Our friendly finance managers work with people from all over including Salisbury, Westover Hills, and Fruitland to ensure our customers get the right finance program at the most competitive rates. 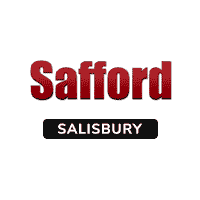 Find out why you should come to Safford Chrysler Jeep Dodge Ram of Salisbury.